Arrr! Today, September 19th, is International Talk Like A Pirate Day! Yes, there is such a thing. It’s been a thing for 22 years. Read how it all started HERE. So what do you do on International Talk Like a Pirate Day? Talk, dress, and act like a pirate, of course. Sounds like fun, right? Wouldn’t it be awesome to go to work, perch yer booted foot atop yer desk, and order around the scurvy landlubbers in the office, threatenin’ them with the business end of yer cutlass? Or how about plunderin’ the liquor store shelves of grog, rum, and other sundries, and payin’ for it with coins from yer leather pouch? Or servin’ up vittles for yer crew while singin’ sea shanties? Or hangin’ out the driver’s window of yer vehicle hollerin’ “bring me the horizon,” “it’s a pirate’s life for me,” and “move yer aft end!” Aye, me hearties, there’s tomfoolery to be had. Need help with yer buccaneer vernacular? Check out this spot-on, cheeky how-to video in proper pirate jargon. If dressing and talking like a pirate isn’t practical for ye, my pity to ye mate. But ye can still have some pirate merriment. 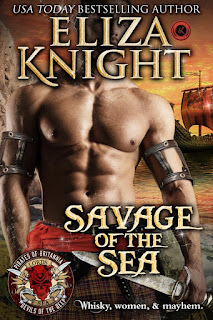 ...escape into worlds full of adventure, rum, fearless pirates, spirited wenches, and swoon-worthy, Romancing the Pirate and Pirates of Britannia: Lords of the Seas. 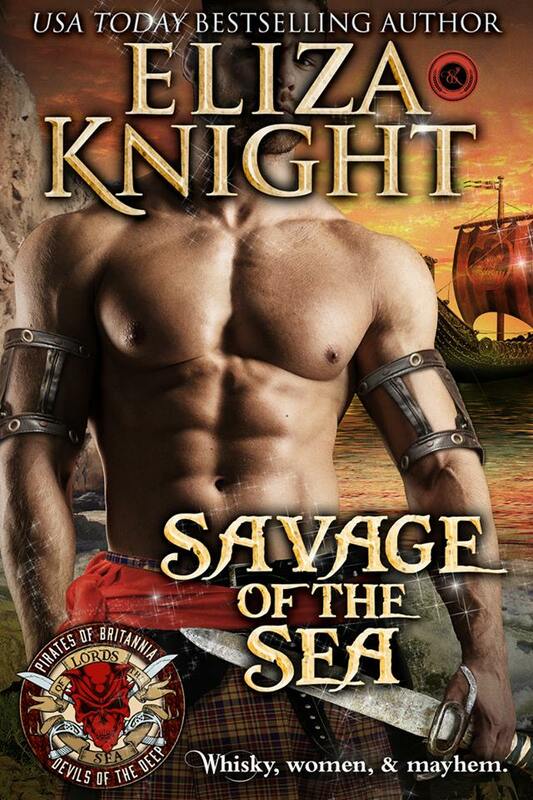 Eliza Knight and I will leave you breathless and wanting more swashbuckling mayhem. 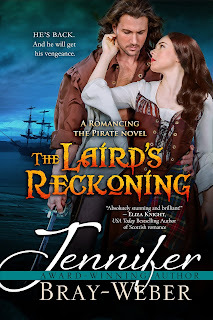 Grab your copy of The Laird's Reckoning now and pre-order a copy of Savage of the Sea. Happy International Talk Like A Pirate Day, mates!